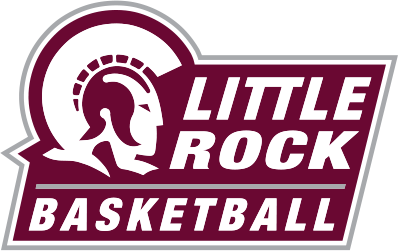 Little Rock (LR) women’s basketball came out victorious 53-43 as they hosted the Arkansas State Red Wolves at the Jack Stephens Center Saturday afternoon. LR started out slowly, held to just two points the first seven minutes of the game. Their first points came at the five-minute mark in the first quarter, before the Trojans ended the quarter on a 6-0 run. LR’s stifling defense continued into the second quarter. They forced the Red Wolves into six turnovers and just eight points in the quarter to take a 27-19 lead into halftime. The Trojans continued their momentum after the break, out-shooting the Red Wolves 45% to just 26%. Led by freshman guard Terrion Moore’s 16 points and junior forward Ronjanae DeGray’s 16 points, LR opened a 43-23 lead at the end of the third quarter. Out-rebounding the Red Wolves 32-22, the Trojans increased their lead up to 20 points. However, the Red Wolves made a run in the final period, bringing the score to 51-42 with 2:31 left in the game. The Trojans quelled the Red Wolves’ comeback with consecutive defensive stops. Arkansas State were led by redshirt junior Akasha Westbrook’s 14 points, while senior Lauren Bradshaw added eight points. LR returns to action in a road trip to Appalachian State on Thursday at 4 p.m.